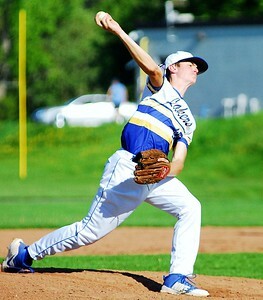 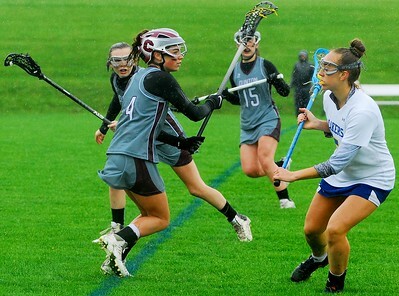 Clinton junior midfielder Sarah Owens returns the ball after a missed Cazenovia attack Saturday, May 19 at Cazenovia. 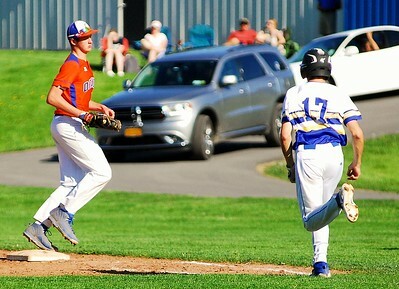 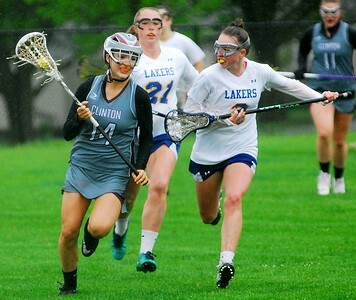 Clinton junior Elyse Jackson plays tight defense against Cazenovia junior midfielder Laura Connor as Clinton junior attacker Skyler Jones comes to help Saturday, May 19 at Cazenovia. 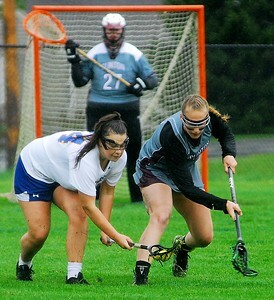 Andrew Aurigema - Oneida Daily Dispatch Cazenovia senior attacker Chloe Willard makes a move on Clinton junior defender Olivia Wightman Saturday, May 19 at Cazenovia. 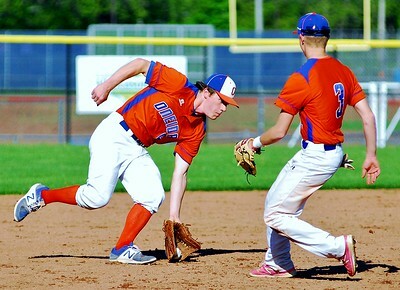 Andrew Aurigema - Oneida Daily Dispatch Clinton sophomore midfielder Wiley Gifford is defended by Cazenovia sophomore midfielder Laura Connor (right) and sophomore midfielder Ava Hartley (left) Saturday, May 19. 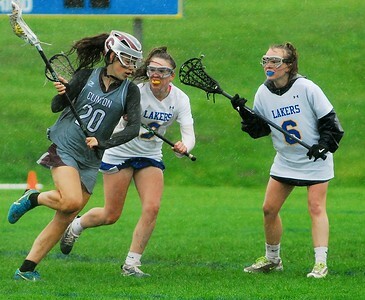 Andrew Aurigema - Oneida Daily Dispatch Clinton sophomore midfielder Wiley Gifford is defended by Cazenovia sophomore midfielder Laura Connor (right) and sophomore midfielder Ava Hartley (left) Saturday, May 19 at Cazenovia. 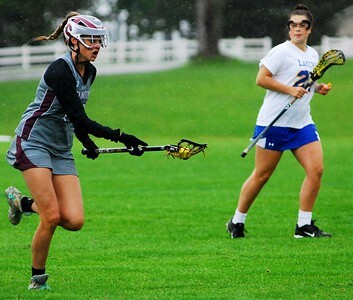 Andrew Aurigema - Oneida Daily Dispatch Cazenovia senior attacker Chloe Willard makes a move on Clinton junior defender Olivia Wightman Saturday, May 19. 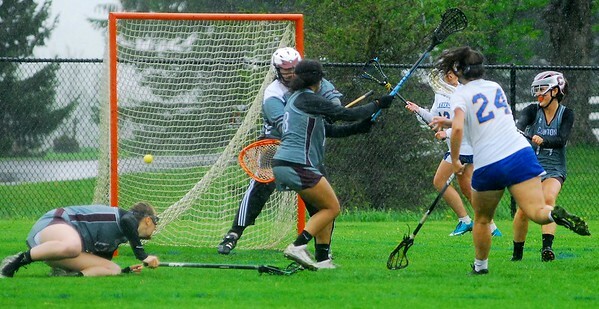 Cazenovia senior attacker Chloe Willard scores a goal against Clinton in their playoff loss Saturday, May 19 at Cazenovia. 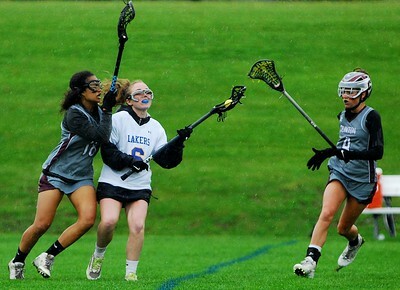 Cazenovia sophomore midfielder Ava Hartley takes up the ball while defended by Clinton sophomore midfielder Wiley Gifford (right) and Clinton junior midfielder Sarah Owens (left) Saturday, May 19 at Cazenovia. 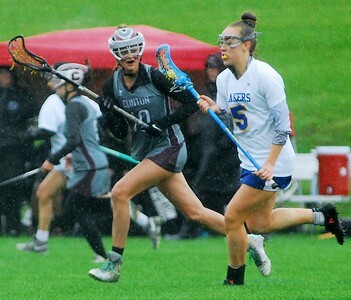 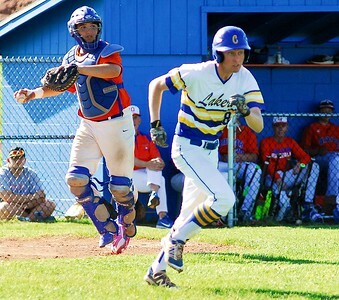 Cazenovia senior midfielder Zoe Shephard attempts to get by Clinton junior attacker Skyler Jones Saturday; May 19 at Cazenovia. 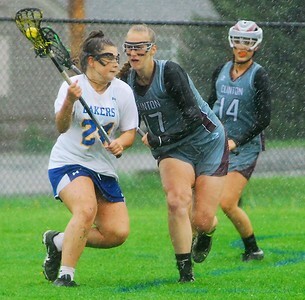 Cazenovia senior midfielder Zoe Shephard brings up the ball while being guarded by Clinton junior midfielder Sarah Owens Saturday, May 19. 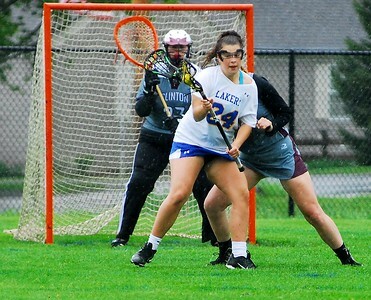 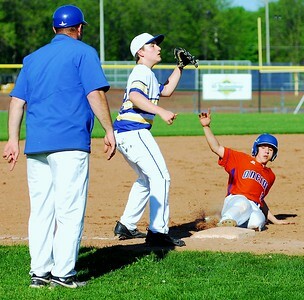 Cazenovia senior attacker Chloe Willard manages to win a loose ball battle against Clinton junior defender Olivia Wightman Saturday, May 19 at Cazenovia. 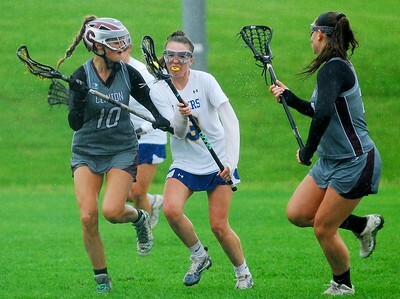 Clinton defender Lexi Emery takes the ball up to midfield while being chased by Cazenovia sophomore midfielder Ava Hartley (right) and Cazenovia senior attacker Mikaylee Whalen (middle) Saturday, May 19 at Cazenovia.